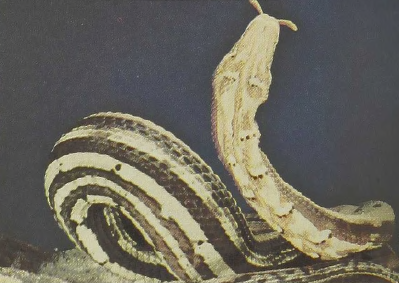 This is probably the most bizarre member of the false water snakes or homalopsines of east Asia. All of these rear-fanged snakes appear to have specialized for life in the swamps and coastal river courses of the Indo-Malaysian region. Different species feed on frogs, fishes, and such aquatic invertebrates as crabs, for which their venom is specific. 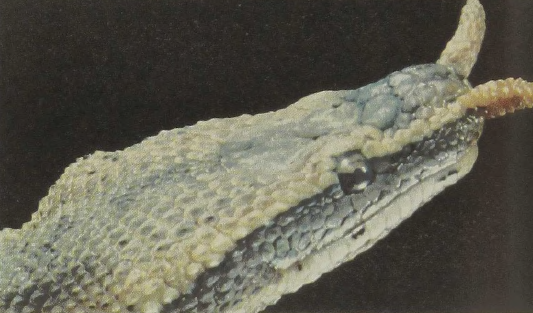 The small species, generally less than 3 feet in length, reach their peak of curious specialization in the 2-foot-long Tentacled Snake which sports two scale-covered flaps of skin, projecting from its nose (hence the name). Unfortunately, we do not know anything about the function of these tentacles: laboratory and field observations on how the animals use them are lacking.